Busra hospital, the only health facility providing neonatal and dialysis services in Dara’a governorate, was destroyed after being hit by 10 barrel bombs on Monday night. It is one of 10 hospitals attacked in the past month. “They targeted the building at about 11pm, doors and windows were broken. When we arrived we heard the helicopters still flying around and we evacuated the medical team and the patients. “An hour later, they dropped six more bombs - destroying half the medical equipment and seriously damaging the building,” explained one of the doctors in charge of the hospital. This aggression came a few days after another attack on a hospital supported by Médecins Sans Frontières/Doctors Without Borders (MSF) in Aleppo governorate, in northern Syria. On 10 June, a barrel bomb exploded outside the medical centre damaging equipment, the pharmacy and windows and doors. The hospital's post-operative room is currently out of service because of the bombing. “We call on the warring parties to respect civilians, health facilities and medical staff according to humanitarian law,” said Carlos Francisco, MSF’s head of mission for Syria. “These new attacks on medical infrastructures are unacceptable,” he added. The intensity and number of attacks against medical facilities in Aleppo is increasing. MSF has received reports of attacks on nine health structures since May 2015. Among them, six hospitals were hit, which represents 40 percent of the hospitals currently operating in East Aleppo. ''Hospitals are the main target but recently ambulances have also been attacked with missiles. 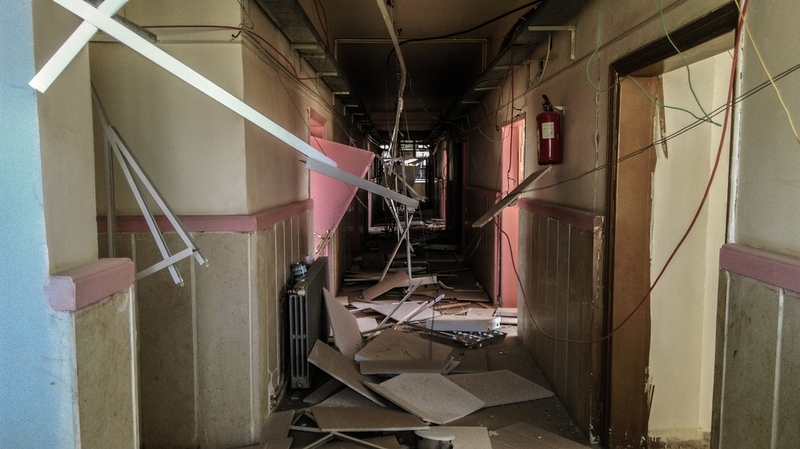 Health centres have also been targeted,'' explained one of the doctors working at the Aleppo MSF-supported hospital. This was the third attack suffered by the hospital in the past year, and according to the staff, it was the heaviest and most damaging. ''The medical team was in the hospital, a doctor was injured. The staff keep working, even after this attack. “It's normal to feel fear, but we are committed to continuing our work. As medical staff in Aleppo, we feel disappointed because the world is watching without intervening. "We need protection from these attacks. The situation is very hard and painful,'' the doctor added. Barrel bomb attacks have damaged and destroyed medical equipment, drug warehouses and generators, and caused health facilities to temporarily or permanently close in Aleppo. When medical facilities are forced to close, patients seek alternative health facilities, but their options are becoming fewer. Medical staff are fleeing and many drugs are not available. ''There’s a lack of medical human resources because the majority of doctors are going to the countryside or to Turkey. If attacks continue, I expect most medical staff will leave,'' explains MSF’s Francisco. MSF operates seven medical facilities inside Syria and directly supports more than 100 clinics, health posts and field hospitals. MSF is also working with patients from Syria who have fled to Jordan, Lebanon and Iraq.